Cabin By The Pond is centrally-located - one of the reasons that we are so popular for cabin rental in Southern Illinois. Southern Illinois and the Shawnee Forest offer great outdoor recreation: boating, hunting, hiking, fishing, and more. Some of the best golfing in the Midwest and some great wineries are just a short drive away, as well. 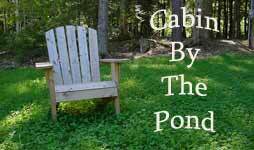 Come stay at Cabin By The Pond in the heart of it all! For a special treat, check out Shawnee Shuttle which specializes in in small group custom tours of the Shawnee Hills Wine Trail. Shuttles can comfortably accommodate up to six adults at an affordable rate,saving guests time and allowing you to make the most of your visit to scenic southern Illinois! We would be happy to help you plan your trip and make the most of your Southern Illinois vacation. Feel free to ask us any questions during your stay, or get in touch with us now by contacting us HERE. 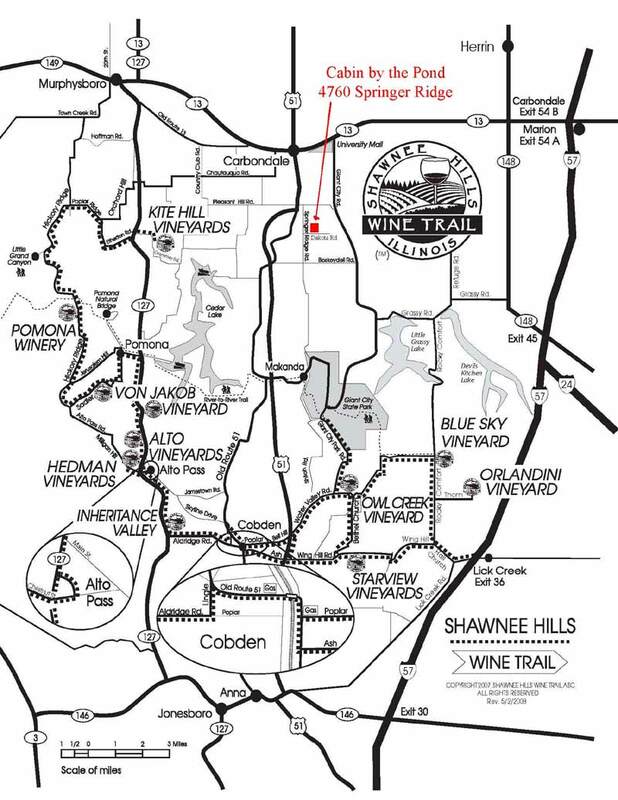 To view a map of the Shawnee Hills Wine Trail and our cabins' location, please consult this map. Shawnee Hills Wine Trail: Located in Jackson and Union Counties, ten award-winning wineries are just a few minutes from each other. Alto Vineyards: Family-owned award-winning winery and vineyard located in the foothills of the beautiful Shawnee National Forest. Blue Sky Vineyards: Offering a taste of Tuscany in the hills of Southern Illinois. 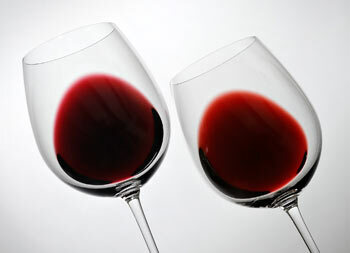 Free wine tasting Monday through Friday. Hedman Orchard & Vineyards: Estate wines, Scandinavian gift shop and dining at the Peach Barn Cafe, serving Swedish cuisine. Ineritance Valley Vineyards: Although the smallest member of the Shawnee Hills Wine Trail, their reputation for good wines and great service is becoming well-known. Kite Hill Vineyards: Complimentary wine-tasting. Sip your wine while counting the turtles sunning themselves on the log in the lake. Owl Creek Vineyard: Dry barrel-aged red and white wines, lighter sweet wines and delicious dessert wines. Free wine tasting year-round and gift shop. Pomona Winery: Specializing in wines made from locally grown fruits other than grapes. Exceptional semi-sweet and semi-dry apple wines and outrageously fruity, highly arromatic peach, blueberry, and strawberry dessert wines . StarView Vineyards: Award-winning wines from hand-tended vineyards. Gift shop and free wine sampling, Monday through Friday. Von Jakob Vineyard: Experience a trip to "Little Germany" at either of their two breath-taking locations. Award-winning wines and gift shop. Monte Alegre Vineyard & Cellars: Family-run vineyard with a variety of white and red wines including their unique blend, Monte Alegre Sangria. Tours available. Rustle Hill Winery: Southern Illinois' newest winery features a beautiful location in Cobden, IL. Southern Illinois Golf Trail: Offering customized trips to five participating courses adjacent to the Shawnee National Forest. Crab Orchard Golf Club: 18 hole semi-private facility featuring some of the best conditioning in Southern llinois. Golf shop and clubhouse. The Gambit Golf Course: Offers a superb championship layout routed through rolling meadows and woodlands. Pro shop and clubhouse dining. Hickory Ridge Public Golf Center: 4-star rated by Golf Digest. 18 hold championship course offers a challenge to golfers of all skill levels. Kokopelli Golf Club: Ranked #3 in the state by Golf Week magazine. 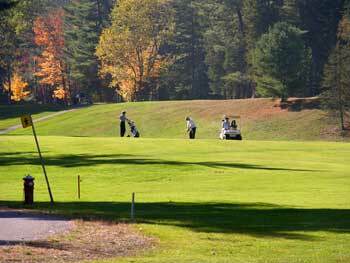 A "big time golf course in a small town setting." Stone Creek Golf Club: Manicured Bermuda fairways and bent grass greens that showcase panoramic views of the Shawnee forest. Rend Lake Golf Course: 4 & 1/2 Star rated by Golf Digest. This 27-hole course is a delight for golfers of all skill levels. Green Hills Golf Club: Voted the best course in Jefferson County, this course offers a beautiful layout and friendly country club atmosphere. Midland Hills Golf Course: 5.5 miles south from Carbondale, this course offers creative, difficult, yet fair green designs. 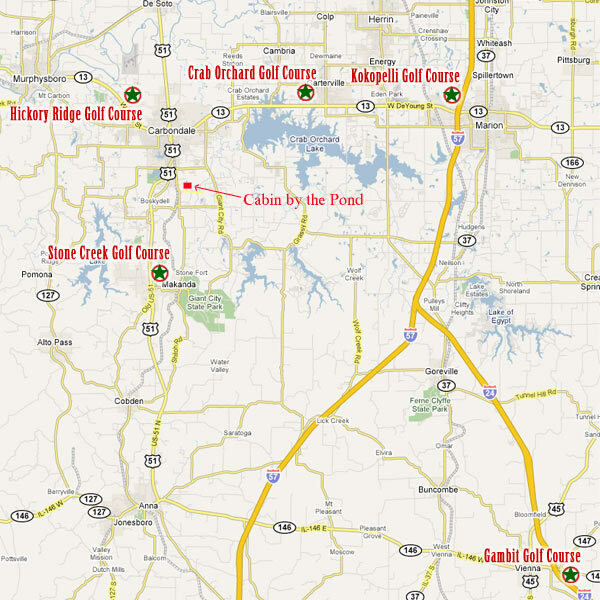 To view a map of the Southern Illinois Golf Trail and our cabins' location, please consult this map. Giant City Lodge: Giant City State Park. historic stone lodge nestled in Giant City State Park. Features the Bald Knob Dining Room, known for its all-you-can-eat fried chicken, anytime! Booby's Submarine Sandwiches: 406 S. Illinois Ave. Carbondale. Offering dine-in, carry-out, and free delivery to Cabin by the Pond. Subs, salads, grill sandwiches, and other deli delights (618-549-3366). Cristaudo's Cafe & Bakery: 1807 W. Main St. Carbondale. Lunch cafe featuring soups, salads, and sandwiches as well as delicious baked goods. Harbaugh's Cafe: 901 S. Illinois Ave. Carbondale. Superb breakfast and lunch that's a favorite of the locals. Hunan Village: 710 E. Main St. Carbondale. 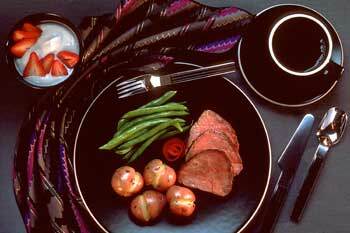 Wide selection of dishes from various regions of China. Glassy Junction Pub, Grill & Tandoor: 717 S. University Ave. Carbondale. Authentic Indian fare and Martini Bar. Indian lunch buffet. Quatro's Deep Pan Pizza: 218 W. Freeman, Carbondale. 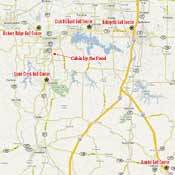 A local favorite for over 25 years offering delivery to Cabin the Pond (618-549-5326). Bottom's Up Family Bar & Grill: 3683 Neunert Rd. Jacob, IL. Great food & drinks. Indoor & outdoor seating with a great view of sandstone bluffs leading up to the Missippi River. Saluki Athletics:SIUC athletics are most well-known for their basketball and football programs, but with 16 varsity teams, sports fans of all persuasions can catch some Saluki action year-round! Some tickets available by Ticketmaster (see website for details). Kleinau Theatre:Hosting a mix of experimental and traditional performances, the 110-seat Kleinau hosts active seasons of both solo and group stagework. McLeod Theatre: Its 488-seat main stage is busy year round, hosting a mix of comedies, musicals, dramas, original scripts, and Greek and Shakespearean works. Shryock Auditorium & SIU Arena:The beautiful Shryock Auditorium and SIU's spacious Arena host major music, drama, and variety productions. Tickets available by Ticketmaster (see website for details). Southern Illinois University Museum:Hosting a range of ever-changing and fascinating exhibits, the university museum is always an interesting stop. 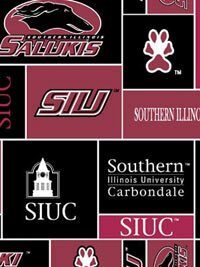 SIU Calendars and Events: Check out the SIU public events calendar and links to various happenings on campus.